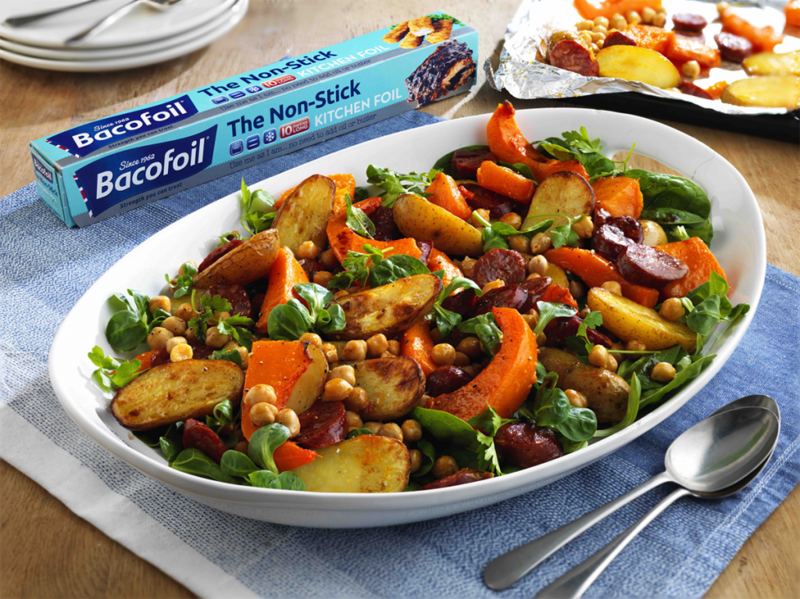 Loving this hearty salad with bags of punchy flavour from Bacofoil. Roasted squash pairs perfectly with chorizo and chickpeas in this warming and colourful salad dish. Quick and easy to make, this flavourful dish tastes great whether served hot or cold. Perfect for a veggie guests – or simply for something healthy but hearty in the post-Christmas quiet zone. Make the dressing by whisking together the balsamic vinegar, olive oil, salt, and pepper in a small bowl or jug. Place the spinach leaves in a large serving bowl or platter and top with the roasted vegetables and chorizo, scatter the parsley leaves over the top. Drizzle with the dressing just before serving.